There are many words you can use to describe painter Jeihan Sukmantoro -- eccentric, contemplative, novel. Perhaps even more. Born in Surakarta, Central Java, in 1938, Jeihan has been a prolific painter since childhood. 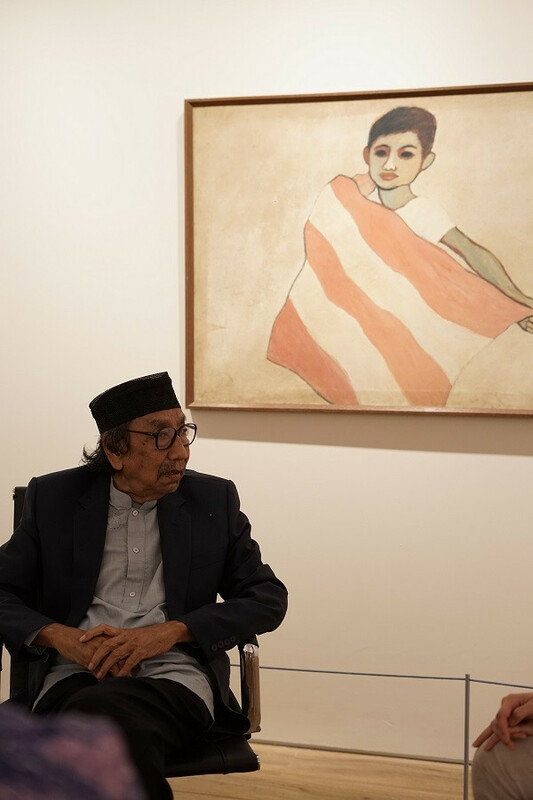 His love of painting prompted the young Jeihan to enroll in the Bandung Institute of Technology’s (ITB) School of Art and Design in 1960, although he later dropped out. In 1965, Jeihan stayed with his family in Cicadas, a densely-populated area in the east of Bandung, West Java, which was plagued by petty crime. During his time there, Jeihan painted a large number of portraits of people in the neigborhood, many of them with the deep black eyes that he is now famous for. This glimpse into his life is the subject of a solo exhibition at Museum MACAN, titled Jeihan: Hari-hari di Cicadas (Jeihan: Days in Cicadas). 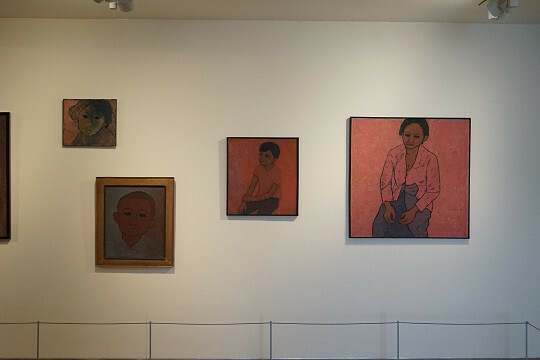 Running until May 26, the exhibition features 30 portraits painted during Jeihan’s stay in the city from 1963 to 1981. The portraits’ subjects are mostly his neighbors who frequently flocked to his home, as his family was one of the few who owned a television in the 1970s. “They were all my neighbors. I knew them very well,” Jeihan said. Half of his works are untitled, while others bear the names of his subjects. One of the paintings displayed in the front of the exhibition space is Jeihan’s self-portrait, titled Aku. He painted it in 1963 during his time as an art student. Aku is also the earliest example of Jeihan’s use of pitch-black eyes. “I was very poor as a student [...] I painted Aku in the university studio. It is a very important painting, though I don’t think it was even finished,” Jeihan recalled during a recent media event. The self-portrait signifies not only his artistic growth, but also one of the tumultuous moments in the country’s history. In Jeihan’s biography, Jeihan: Ambang Waras dan Gila (Jeihan: The Edge of Sanity and Insanity), philosopher and art critic Jakob Sumardjo wrote that the painting was left unfinished due to the antiChinese violence that spilled into the halls of the ITB and onto the streets of Bandung on May 10, 1963. At the time, Jeihan took to the streets to walk with his fellow students who were of Chinese descent to keep them safe. The pitch-black eyes from Aku can also be seen in another painting titled Gadis (Girl), which was completed two years later. “This might have been a coincidence or a mistake because I started painting [more of] the black eyes in 1965. Not long after that, there was the coup attempt and the Sept. 30 Movement,” Jeihan said, referring to the Indonesian Communist Party’s failed coup that led to the rise of dictator Suharto. Soon, the eyes became a signature of Jeihan, who gained traction in the Indonesia art scene. “During my early days of exhibiting, I was mostly laughed at, and my paintings didn’t sell. By my eighth exhibition, people loved my paintings. They are quite simple, but collectors keep buying them at high prices,” Jeihan said. Curator Ady Nugroho said the exhibition provided a glimpse into life in Cicadas, with the individual portraits evoking a sense of community and togetherness. 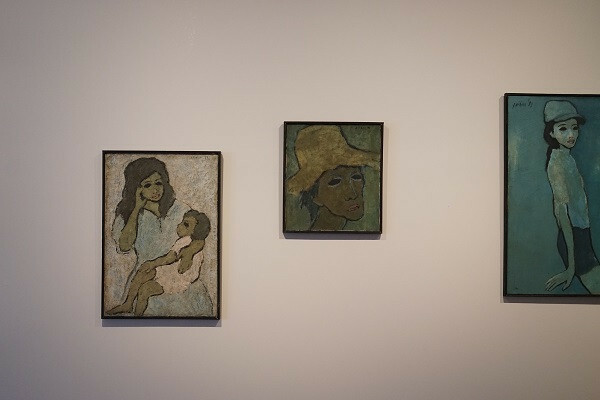 “It is likely that the people in the portraits know each other, and we can also get a sense of how Jeihan, as an artist, relates to the people around him,” Ady added. Museum MACAN’s director, Aaron Seeto, said the exhibition was set up as a contrast to the museum’s grander inaugural exhibitions, which involves names like Yayoi Kusama, Arahmaiani, and Lee Mingwei. “This is on a different scale, but it’s no less important because it allows us to think very deeply about an artist’s practice. 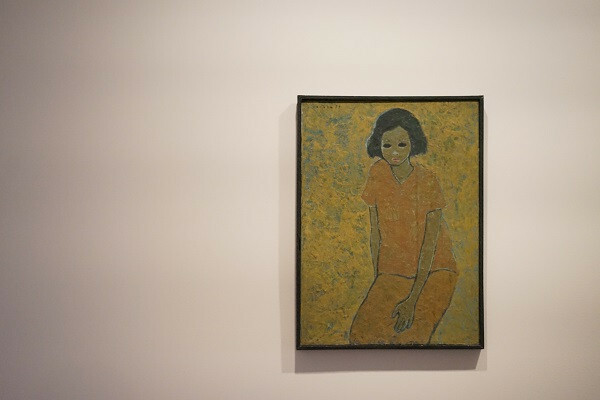 “Many people, as soon as we say that we’re doing an exhibition by Jeihan, they immediately know what we’re talking about,” Seeto said, adding that the museum was committed to supporting works by Indonesian artists alongside international artists.